A group of locals are being hailed as heroes for coming to the rescue of a pair of manatees left stranded and running out of time after Hurricane Irma drained the waterways around Tampa Bay, Florida on Sunday. 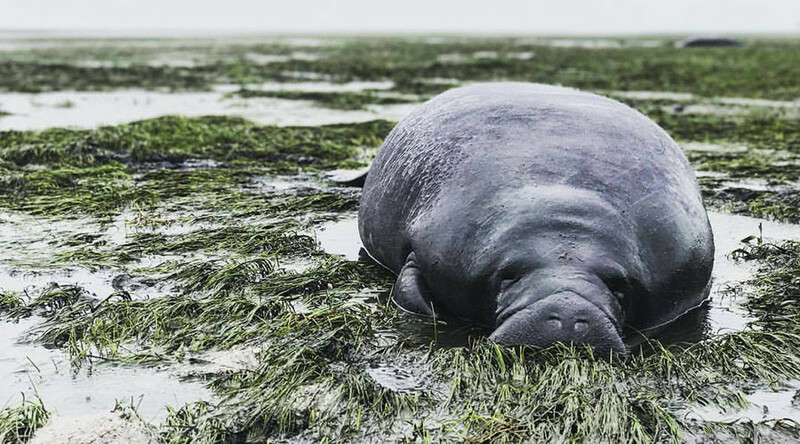 Despite Irma passing more than 200 miles away, the hurricane’s powerful easterly winds pushed the water out of Sarasota Bay, leaving the large mammals stranded on the freshly-dry land. Resident Michael Sechler posted on Facebook that he went out to the bay and saw two objects lying where the water had receded. “So we took off our shoes and walked out through the shells to find two beached manatees,” Sechler said. The group then tried to help the animals, but the sheer size made it impossible to move them. However, another group had more success with the help of some simple items, namely a sheet of tarpaulin and some pieces of timber. 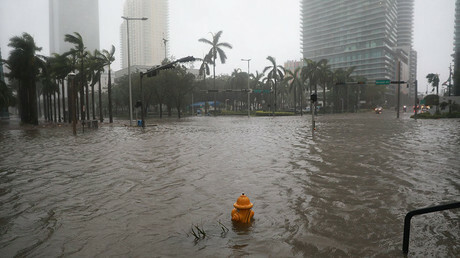 Marcelo Clavijo said he was out for a drive because he was going “stir crazy” sitting at home, when he stopped by the bay and spotted the beached sea cows. Clavijo posted a video on Facebook showing the team of rescuers struggling to move one of the big manatees with their basic tools. The video has already been watched more than 5 million times. “We rolled them on the tarp and then dragged them a 100 yards it was crazy,” Clavijo explained. “Now back to reality of a hurricane coming #manateelivesmatter,” he added. He later told local news channel Fox 13 that the sea cows swam off after they pulled them all the way to the water. Hurricane Irma has already claimed at least four lives, as it batters Florida, having earlier killed 28 people in the Caribbean. President Trump has declared it a major disaster, leaving heavy flooding and major destruction in its wake.